Kenneth Lapatin, Karol Wight (ed. ), The J. Paul Getty Museum Handbook of the Antiquities Collection. Los Angeles, CA: Getty Publications, 2010. Pp. xxiii, 238. ISBN 9780892369980. $70.00 (pb). This attractive publication offers a catalogue of about 200 objects chosen from the over 1200 antiquities on display at the Getty Villa at Malibu.1 It is emphatically a handbook, a vade mecum apparently designed to accompany a visit to the collection or as a handsome memento, which at the narrow size of 24.2 x 14.4 cm, can be conveniently carried or slipped into a bag. It begins with frontispiece and pictures of the Getty Villa on the title page, a foreword, and "Brief History of the Collection," but omits a plan. Apart from a map indicating places mentioned in the text, a brief table listing the names of Greek divinities with their Roman and Etruscan equivalents, and a short glossary, there is no contextualizing material: no timelines, general essays, bibliography or reading list. However, in keeping with its character as a ready source of information, there is a clear index. Almost identical to its 2002 predecessor in size, style, format, approach, text, and with exactly the same number of pages, it provides brief descriptive entries with full colour illustrations (larger and clearer thanks to a reduction in margins). The editors seem to assume that readers will dip fairly randomly into its pages since there is no is sequencing of information, a certain amount of repetition, particularly of myth narratives, and not much relating of objects to each other. This new edition has been made necessary by the well-publicized return to Greece and Italy of over 40 objects now known to have been illegally excavated or stolen. Senior curator Karol Wight acknowledges: "With the discovery of a large collection of photographs and other documents seized from the Swiss offices and warehouse of a major dealer in ancient art, legitimate claims were made...for the return of objects to Italy and Greece" (xxi).2 Twenty-nine or so entries have been removed and thirty-two new ones take their place. Notable among the absent items are the spectacular gold Macedonian funerary wreath (formerly 93.AM.30, now in the Thessaloniki Archaeological Museum) and the controversial cult statue of a goddess, sometimes identified as Aphrodite (88. AA.76). One also notes the absence of many significant vases, including a black figure zone cup in the manner of the Lysippides painter (87.AE.22), a red-figure kylix signed by Douris as painter (84.AE.569), and the intriguing Choregos bell krater (96.AE.29). Among the new entries, often also new acquisitions are a Minoan lentoid seal of a bull leaper (2001.14.1), a marble ceremonial chair (the Elgin Throne) (74.AA.12), a painted Klazomenian terracotta sarcophagus (77.AD.88), and a near full size marble statue of a satyr pouring wine (2002.34). Also included are examples of Greek and Roman glassware from the collection of the late Erwin Oppenländer, notably a core-formed alabastron (2003.193) and blue and white hemispherical mosaic bowl (2004.24).3 Despite ongoing legal proceedings, the statue known as the Victorious Youth (77.AB.30) receives a double page entry -- perhaps an indication of the Getty's confidence in its claim to this particular work (44-45).4 The editors have been forthright about the issue of modern forgeries, drawing attention in the introduction to three fakes "that once passed as genuine" (illustrated) and, having included the Getty Kouros (85.AA.40) in their selection, raise some of the questions and doubts surrounding it (xi-xxi, 17).5 These discussions (perhaps inadvertently) illustrate the need for objects to have an established provenance and secure archaeological context (see below). One recognizes that it is the nature of a handbook to be concise, but this publication would have benefited from a statement of selection criteria beyond the claim on the back cover that these are the "Getty Museum's most important pieces". There is sufficient space for some -- albeit condensed -- clarifying remarks in the sparse "Notes to the Reader" section. The items chosen are impressively diverse, ranging from the enigmatic Cycladic statuette of a harpist (85.AA.103) to a Roman bronze key with horse-head handle (96.AC.197) but in general, the presentation focuses on their uniqueness as aesthetic and crafted objects rather than on the meanings they carry about the cultures that produced them (8-9, 192). The stance of the authors is that of the connoisseur rather than of the historian or archaeologist. As befits a handbook, the organization of material is strictly taxonomic: a note to the reader explains that items are grouped initially by "culture" -- the sections are listed in the table of contents as: Preclassical, Greek and Eastern Mediterranean, South Italian, Roman. These categories are of course also implicitly chronological, a point that might help explain why some objects are assigned to one section rather than another. Next, within these broad cultural/chronological categories objects are grouped according to medium (stone, bronze, terracotta, gemstones, precious metals, faience, ivory, glass) then within medium finally into chronological order. One wonders about the helpfulness of such an arrangement for the Handbook's likely audience seeing that it is at odds with the thematic approach that dominates the exhibitions in the twenty-three permanent galleries at the Getty Villa. It also obscures stylistic similarities, and further isolates objects that are already lacking historical and archaeological context. Anomalies are perhaps inevitable, but the present arrangement places a stylized eighth-century BCE Laconian bronze statuette of a horse (85.AB.45) on the facing page to a first-century BCE Hellenistic marble statuette (95.AA.169) (30-31). Each piece has a heading that includes its presumed date and place of origin along with its physical dimensions and accession number. Sometimes there is an additional geographical designation that is, in fact, a reference to cultural style, as in the case of Portrait Head of a Bearded Man (90.AA.21) where we read: "Roman, perhaps from Greece" (170). Many objects in this volume do not appear to have a secure find spot. (Indeed, the entries often focus on deducing the place of origin.) Those for which a find spot is given are usually early discoveries made before the advent of scientific archaeology; typically their "modern" history or provenance is secure, but there is only minimally more information about the context from which they were unearthed than exists for the overwhelming majority of archaeological "orphans" about which nothing is known.6 The "orphans" in this volume prompt many questions for instance: Murray McClellan asks of the signed Panathenaic amphora (93.AE.55): "was it found in a tomb in Eretria where three similar amphoras have been excavated? Was it found with other inscribed or uninscribed Panathenaic amphoras? Whose tomb was it? "7 One would like to know whether the group (part of a larger set) of ornate silver and gilt objects from the sixth century BCE (96.AM.110) were, as is implied but not stated, found together and even more under what circumstances. Unfortunately all such questions are probably unanswerable, a situation which, as David Gill points out, "represent a major loss of knowledge".8 More disturbingly, one wonders about the fate of the larger (presumably painted) wall surface from which the fragments of Roman frescoes have been detached or the mortal remains of those whose portraits have been cut from their mummy wrappings (222-225; 227-229). In the absence of solid archaeological information, those who contributed to the Getty Handbook had no option but to use a methodology of inference and deduction -- from form, style, decoration, indications of prior attachment to objects or structures, letter forms and inscriptions. Depending on the evidence this can sometimes be skilfully done, but the entry for a statuette of a kneeling satyr (88.AB.72) offers an entirely typical instance of how unsatisfactory it often is: "Appropriate to his pose, this small figure may have decorated a large metal vessel used to mix and serve wine at a banquet. A lumpy area below his left hoof may be the remains of an attachment pin. Alternatively, the statuette may have been given as a gift to the god at a sanctuary of Dionysos" (my italics) (38-39). Whenever they can, the entries draw on an existing framework of knowledge derived from objects which have had the benefit of scientific excavation. This is clearly apparent in the entry comparing a box-bezel ring (88.AM.104) to "jewelry found in a female burial in South Italy" (123). But inevitably, the text is dominated by expressions such as "indicates", "suggests", "most likely", "may be", "possibly", "probably". 1. Approximately 44,000 Greek, Roman, and Etruscan antiquities are housed at the Getty Villa, see: The Getty Villa Malibu Permanent Collection. 2. For details of the events to which Wight refers: P. Watson, and C. Todeschini. The Medici Conspiracy. The Illicit Journey of Looted Antiquities from Italy's Tomb Raiders to the World's Greatest Museums. N Y: Public Affairs, 2006. See also: J. A. Kreder, "The revolution in U.S. Museums Concerning the Ethics of Acquiring Antiquities". University of Miami Law Review 64 (2009): 997-1030. 3. Pp. 11; 32; 53; 158; 102-3. 4. 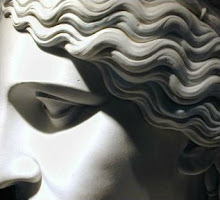 On February 11, 2010, an Italian appeals court ordered the confiscation of the Statue of a Victorious Youth, the Getty has announced that it will vigorously defend the legality of its ownership of the statue: "Italy orders return of ancient Greek statue from US" (BBC News). 5. For detailed information about the Getty Kouros: P. Craddock Ed., Scientific Investigation of Copies, Fakes and Forgeries Mass. : Butterworth-Heinemann, 2009. 6. For archaeological "orphans", see C. Chippendale and D. Gill, "Material Consequences of Contemporary Classical Collecting", AJA 104 (2000) 463–511, p. 500. Older discoveries with secure find spot are: Stature of a Kore (70.AA.114); Ceremonial Chair (74.AA.12); Marbury Hall Zeus (73.AA.32); Leda and the Swan (70.AA.110); Mazarin Venus (54.AA.11); Lansdowne Herakles (70.AA.109), Ribbed Bowl (72.AF.37); Statuette of a Bull (2001.7); Gold Beaker (2001.6); and Statue of a Pouring Satyr (2002.34). In fact, the Portrait Statue of a Woman as Cybele (57.AA.19) was discovered in Rome in the 1500s but this information is unaccountably omitted. It is also worth noting that while the mosaic floor depicting the combat between Dares and Entellus (71.AH.106) "was originally the central panel of a much larger mosaic floor in a Roman villa excavated in 1825", it is not clear when, or under what circumstances, the floor was divided. Pieces whose modern history is reported in the Handbook are: the Getty Commodus (92.SA.58) and a Portrait Bust of a Woman (70.AA.100). 7. M. McClellan. "Publishing Unprovenanced Artifacts: Comment". Electronic Antiquity 2.1 (1994). Electronic Antiquity. 8. Review by David Gill: BMCR 1998/1998.6.08.